Way back towards the end of September last year I received a copy of turn based strategy game Depth of Extinction. I don't like to review a game until it has been finished, an embarrassing mistake I once made with Persona 4 (twenty hours in I figured I was near the end, turns out the game took ninety one hours to actually complete!). It is now months later and I have been playing this on and off periodically yet the way I'm playing it means a review will likely be years in the future. 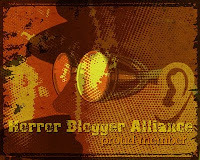 Due to that estimation I am instead going to put up a preview of this game, the experience I have had with it so far. 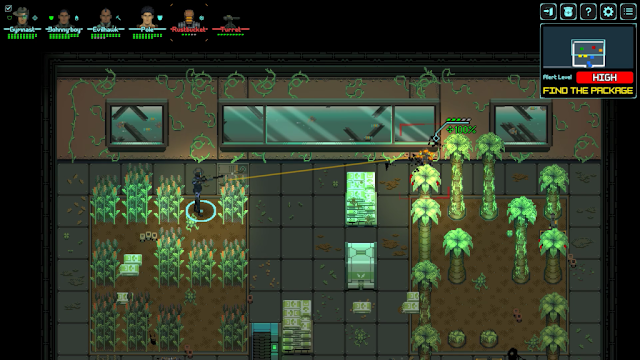 This style of game is very similar to the XCOM series, of which it was inspired. You have random characters who undertake missions in small undersea bases populated with all sorts of bad guys such as robots, pirates, smugglers and soldiers. 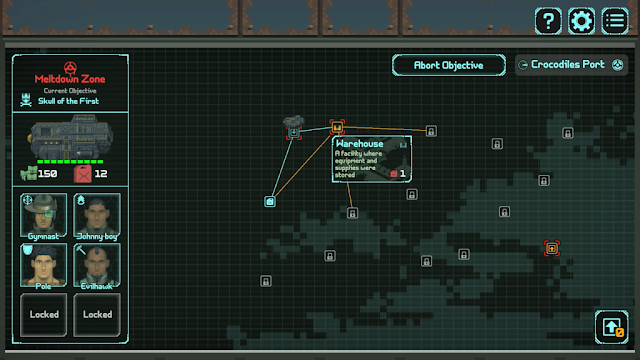 You move using a grid system with the different classes able to move different amount of spaces. When you engage enemies combat takes place in a turn based fashion. Here you can make use of cover to reduce the odds of getting hit, use various class based abilities and use an 'overwatch' ability which means any enemies going into range of your guns will get shot at. Each action you do gives you a probability of being able to hit the enemy. Snipers for instance have a pretty much guaranteed chance of hitting a line of sight enemy from afar but up close they are ineffective, the opposite being true for characters equipped with the shotgun. You also have to factor in reloading. These battles are all important as this game has perma-death. If a soldier should die they cannot be brought back, instead you have to use a new one who will start off as basic as they come losing all the XP and new abilities your seasoned warrior would have had. The artstyle is pixel based and it looks wonderful, really charming and nostalgic. This goes in tandem with the music which is also nostalgic and fits the action well with an exploration theme and then different music for when the fighting kicks in. Each mission gives you an ultimate objective, but to get there you have to travel in a submarine through a grid like map to get to your goal. Each time you move to a new location it costs fuel, this can be scavenged from locations and brought from traders. If you run out you can call for assistance but it is not guaranteed if enemies or help will arrive to help. Only once did I run out of fuel and luckily the help that arrived was friendly. Being able to choose where you go next en route to your objective gives some variation to the game, also for most the bases you get to you have the option to just skip them entirely, useful if you are overpowered for the mission you are doing. I have put around ten hours into Depth of Extinction and have had a blast playing it. It is not something I spend hours on at a time but it is fun to pick up and play for a random half hour here and there. I find it peaceful to play, I just get enjoyment out of moving my characters around one by one, I have always liked turn based stuff as real time usually confuses me! Due to the extremely slow way I am playing it I came to the realisation this preview needed to happen, I am going to keep on plugging away at it so one day a review will appear of this! 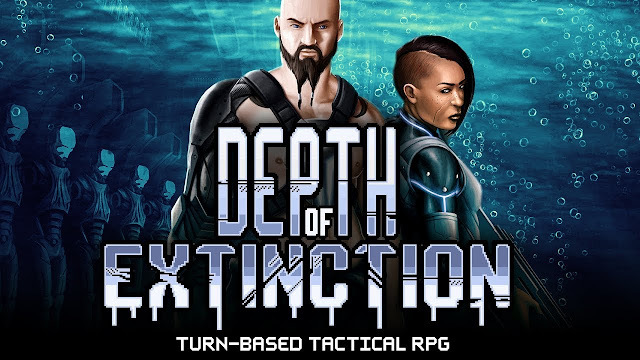 Depth of Extinction was released on 27th September 2018 and is available on Steam, GOG, itch.io and the Humble Store.